Olney doc muses: Not just ideas, concerns and expectations. Not just ideas, concerns and expectations. One of the most useful adages for GPs is 'Ideas, concerns and expectations', aka ICE. It is a convenient way to judge the success or otherwise of any particular consultation. So the patient with a sore throat has the idea that a sore throat means a visit to the doctor. And what is more she is concerned that if her sore throat doesn't clear she won't be able to make the theatre trip at the weekend. Her expectation is that a prescription-likely an antibiotic- will be given. Addressing each of these factors leads to a satisfactory consultation. The idea will have been discussed, the concern acknowledged, and the expectation....well you can't please everyone all the time. But of course there is so much more that is often needed. And not least for the bulk of patient interactions in general practice which are not just about one specific presenting symptom. One of the joys of working long term in a practice is the number of elderly patients one gets to know. However so often that knowledge is very limited and seldom includes an awareness of the ageing, and sometimes, dementing patient's past. I have become especially aware of during this past week since I have discovered that two of my elderly patients had written and published their life stores. Sadly one of them died just over one month ago, so I'll have no chance to discuss with her the fascinating experiences as a school matron in India during the war, nor her training as a nurse in 1953 and her varied subsequent experiences. 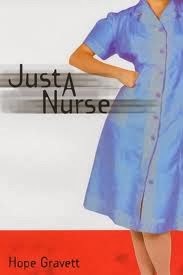 She rather humbly call's her memoir, Just a nurse. 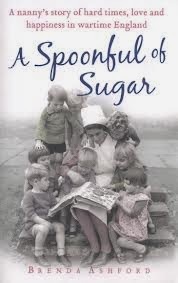 Brenda Ashford, still fighting fit in her 90s, has written of her early years as a Norland nanny, in A spoonful of sugar. Its a wonderful read. I really must make the most of the opportunity to chat with her. And all to say that it is so important that doctors appreciate that patients have a past as well as a present and a hoped for future. But the traditional, 'Past medical history', with its lists of operations and established illnesses, needs broadening out at times into simply the patient's past history. This is especially important when caring for the demented patient, when all trace of a lively and full past can seem to have been lost. And all of this feeds into the patient's 'ICE'. Perhaps ICE needs updating to RICE, to recall the patient's past, especially if that only comes from a memoir written or stories from a close family member. Ah well, another question to add to the already rather long list in the well worn and familiar, 'taking a history'. "Have you written a book'? Labels: dementia, general practice, memoir, memory. The wise understand how the world works..